AZUSA, Calif. – A fade-away, buzzer-beating jump shot from Cal Poly Pomona’s Terrance Drisdom, the California Collegiate Athletic Association Player of the Year, handed Dixie State a 62-60 loss Friday night, ending the Red Storm’s season in the first round on the NCAA Division II West Regional. Just seconds before Drisdom’s dagger, DSU junior forward Mark Ogden Jr. hit a straight away 3-pointer that tied the game against the Broncos at 60-60. Senior guard DeQuan Thompson finished with 15 points and senior forward Zach Robbins had 10 points and 6 rebounds in the Red Storm’s season-ending loss to the Broncos (24-6). Drisdom scored a game-leading 18 points for Cal Poly Pomona, connecting on 7 of 12 shots from the field. Dixie State closed its season with 20-8 overall record, the sixth straight season in which the Storm eclipsed the 20-win mark. 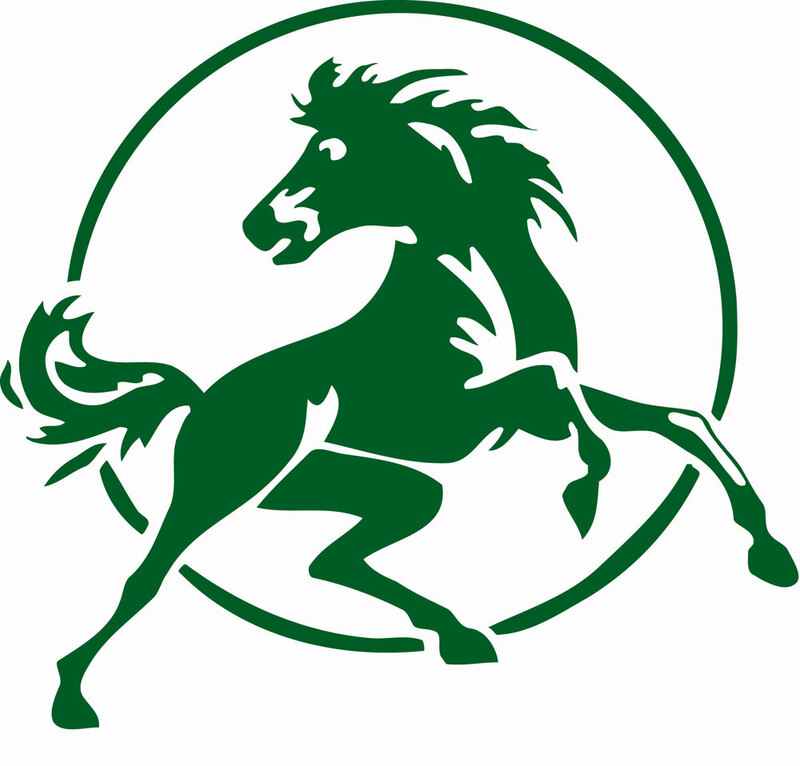 CPP’s win against Dixie State earned the Broncos a spot in the West Region semifinals on Saturday, where they will face the winner of the Azusa Pacific/Western Oregon game. Jordan Faison added 16 points for Cal Poly Pomona, and Daniel Rodriguez hit a trio of 3-pointers en route to 13 points. The Broncos improved their all-time record to 3-0 against the Storm, with all three contests having taken place in the opening round of the NCAA Division II Tournament. Cal Poly Pomona shot 44.6 percent for the game (25-56), including 14 of 31 in the second half. Dixie State finished at 41.7 percent (20-48), bouncing back from a 7 of 25 performance (28 percent) from the floor in the first half. The Broncos led 27-24 at halftime in a 20-minute period that saw multiple scoring runs. CPP opened the game with the first seven points, only to see DSU respond with a 5-0 spurt. Despite the Storm’s poor shooting to open (only 2 of the first 17 attempts fell) DSU was able to bounce back with an 11-0 spurt to close the CPP lead to one. A six-point lead was sliced in half in the final minute on a steal and three-point play from freshman guard Trevor Hill. 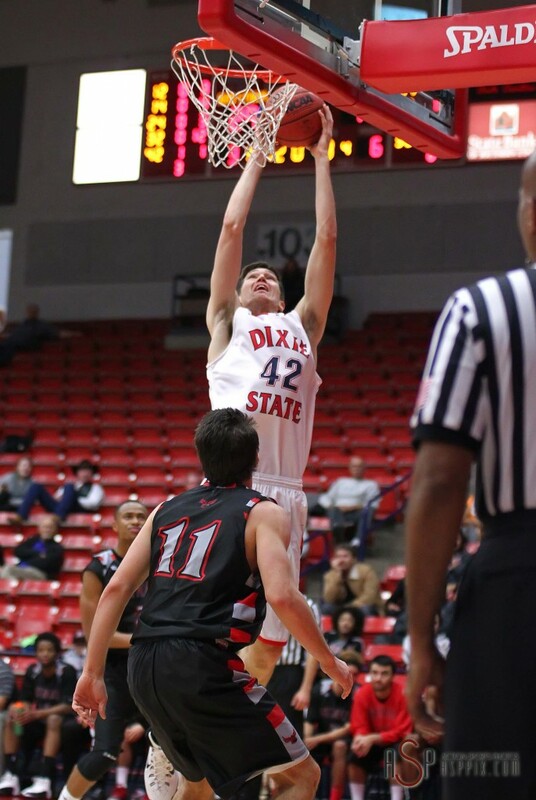 Dixie State’s opening 5-0 run in the second half secured its first lead. Ogden connected on a baseline jumper and Mason Sawyer connected on a 3-ball from the top of the arc. When the Red Storm pulled ahead 50-45 with seven minutes left, DSU thought they would break their winless string against CPP. Turnovers, 17 in total for the game, late allowed the Broncos to get easy buckets in transition. Off a Drisdom steal, Sawyer was whistled for an intentional foul after grabbing the ball-handler from behind. Two foul shots and a subsequent dunk from Faison pushed the Bronco lead out to five, 60-55. Robbie Nielson hit two fouls shots on the ensuing possession. Drisdom dribbled the ball off his foot dealing with defensive pressure to give DSU the ball with 48 seconds. Ogden, left wide open at the top of the key, drained his only 3-point attempt of the season to knot the game at 60-60. Drisdom’s left-angle shot that swished through the net as the buzzer sounded, kept CPP from facing overtime against DSU. The Red Storm came in as one of the tournament’s better scoring teams, averaging 78.3 points per game. Cal Poly Pomona showed off its nation-leading scoring defense (56.3 PPG) by holding DSU to its second-lowest point total in the first half.